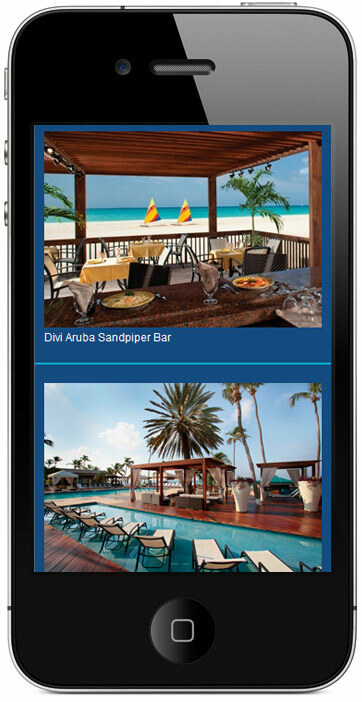 The Divi Aruba All Inclusive (www.diviaruba.com) is Aruba’s premier all inclusive resort. 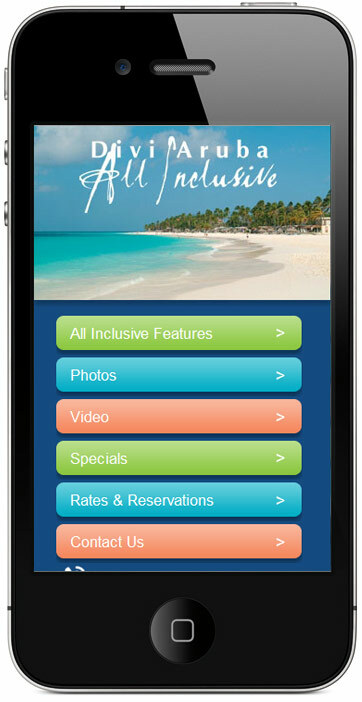 HSS developed a mobile website to provide visitors with a convenient means to view resort information and book reservations on smartphones such as iPhone, Android and Blackberry. Mobile Design Templates - The mobile website utilizes mobile-specific templates based on the look and feel of the desktop site, for a consistent brand identity on both mobile and desktop display. Device Detection - Device-detection identifies when a user is on a mobile device and automatically displays the mobile website. Touch-Screen Navigation – The mobile site’s interface allows users to conveniently navigate the site in a fashion that is optimized for the mobile touch-screen. 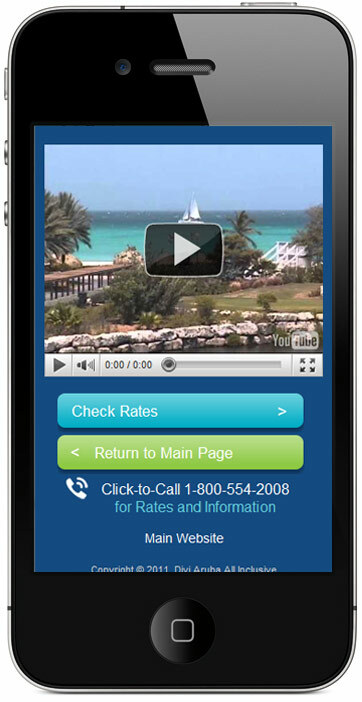 Click-to-Call - Users can call the resort’s reservations line with a simple one-touch process. 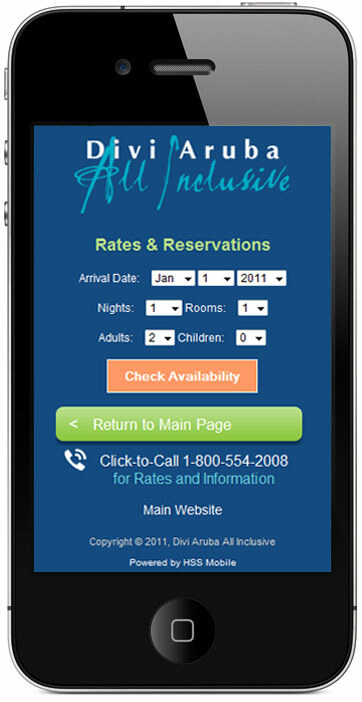 Reservations System – Users can view room availability and pricing with an integrated booking engine. Video & Photos - Users can watch a video or browse a photo gallery for easy visualization of all the resort has to offer its guests. A QR code was developed in order to direct users the mobile website from printed promotional materials, an innovative means to bridge offline and online media. Mobile analytics are able to track the number of users to the resort's mobile website, along with device type and other statistics.